SunPOS offers a wide variety of point of sale supplies including thermal receipt paper. 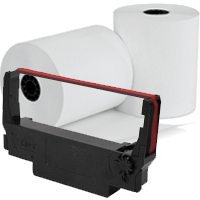 2 ply carbonless paper, printer ribbons, magnetic swipe cardsand more. SunPOS can help keep you stocked and ready for all your establishments needs. Call 713.922.6535 to order your point of sale supplies today. From providing receipts for customers, processing credit cards and printing orders to the kitchen and bar, receipt paper plays a vital role in your establishments efficiency. SunPOS can provide your paper solution whether it be thermal paper, 1-ply bond paper or 2-ply carbonless receipt paper as well as ribbons for impact printers. Click here for pricing. Magnetic swipe cards offer greater security for your business. Swipe cards use the authentication and authorization method via the card itself rather than a simple password that can be easily misused by unauthorized staff. 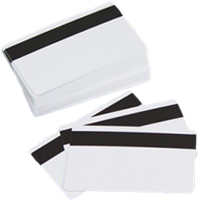 Magnetic swipe cards are also used for gift card programs that can be integrated with your SunPOS system For more information on gift cards, please visit our gift card page.